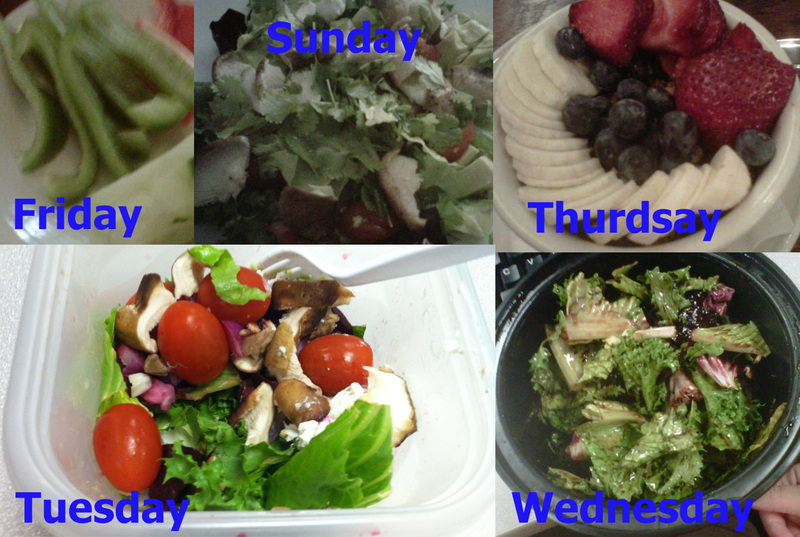 The challenge for this week was to eat more salad. Specifically, to eat a salad once a day. We both failed but, luckily, that means we both won because we each ate five days worth of salads. We bent the rules a little but I think it's fair to say that if my chicken salad on a sesame bun counts, then Kate's cucumber and peppers on a plate also count. I'll give her the granola with fruit on top but I think that's questionable. I regret not getting more creative with my salads. The best one I had was made by Sweetgreen. It was mesclun with quinoa, butternut squash, pears, walnuts, almonds, and goat cheese. I kept planning to make Sarah's recommendation but I have never made hard boiled eggs before so I shied away. Instead, I had many days of spinach and threw some almonds and lemon juice on it one day. She's right- the lemon was awesome! Here is my pretty, and very green, assortment of meals. 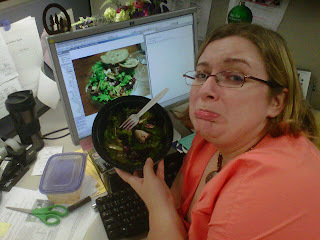 On Wednesday, I e-mailed Kate a picture of my amazing Sweetgreen salad as she ate the one she brought from home. This is how she felt about that. 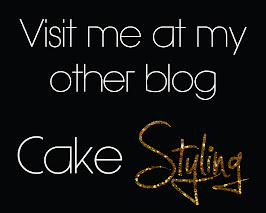 So the competition continues. This week we're doing the opposite of eating as much green as possible. We are competing for who can eat the most colorful meals. This was my idea and was inspired by my bff Nicole, who never fails to point out when someone's (usually, it was Josh's) food is all one color. Winner gets a pot of gold and a leprechaun!